This page will be an ongoing blog, updated from time to time documenting my experiences with the KX3. 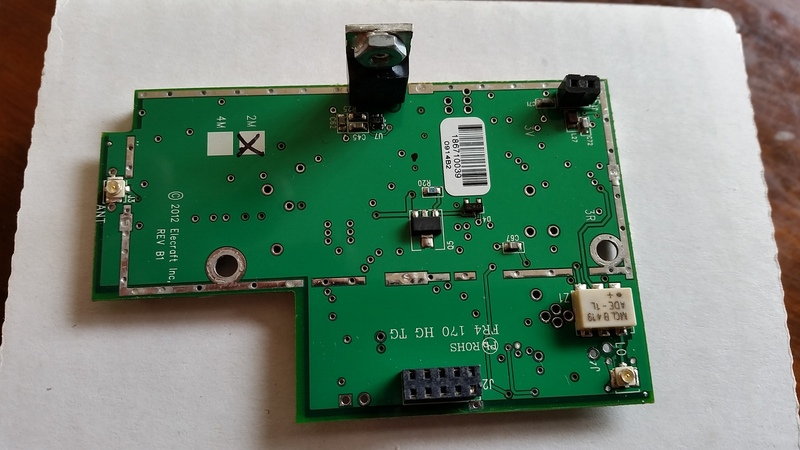 My KX3 #4625 was bought as a kit and delivered to VK3 in August 2013. The Australian dollar was 92 cents to the USD then! The purchase was assisted with the sale of some underused equipment – my original FT-747 and HR-2510. Even so, it was difficult to justify the expense. In the end, I thought I would get greater benefit with a modern state of the art radio that did not require additional equipment such as tuners to operate as per my intentions. The kit form was a bit cheaper but also gave me a project plus mean’t I would have a better knowledge of the radios internals. The kit came with the works. Real time clock / charger, roofing filter, antenna tuner, microphone and paddle. The instructions were pretty good and the construction went pretty much to plan with the exception of being one screw short. Fortunately I could use a spare from the parts not required due to me fitting the real time clock module. It was with trepidation that I installed some internal batteries and turned it on followed by relief that it actually worked and no smoke came out. With anything new, it takes time and experimentation to get the best out of it. Fred Cady’s (KE7X) book on the KX3 gave some good insight as to setting up audio filtering and the roofing filters. I trialled it with my portable antenna at the local primary school prior to the first activation at the local summit Mt. Dandenong. enough to read without the back lighting on although the shortage of character space means a short buffer for what is received to remain visible. My first experience with a paddle took little time to get used to and my sending improved considerably within a short space of time. This prompted me to purchase a Vibroplex paddle for the home station. On the RX side, the quasi stereo with headphones is great. The RX via the internal speaker is average and can distort with loud and strong signals. The christmas / new year of 2013/14 is when I had my first issue. I found my CW sending to be erratic with the radio not sending what was being keyed in. I discovered the CW paddle pins were loose and infact had separated from the solder connections on the circuit board. There appeared to be minimal solder and the joints were dry. 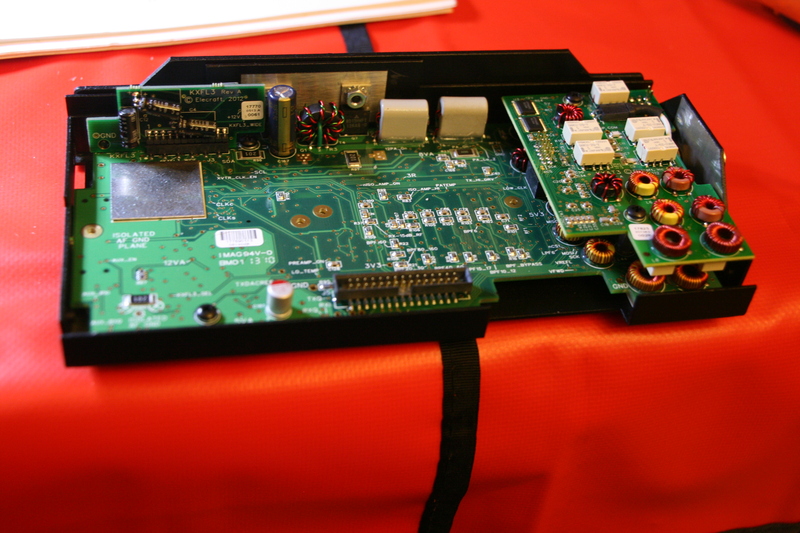 I fixed this by placing the pins into the paddle, fitting the paddle to the radio and then soldering them into position. Elecraft were notified of my problem and that I had fixed it. With hindsight, another unrelated problem began while I had the radio operational from the MDRC hamfest in 2014. The WX was drizzly and I has it under a bucket whilst I was on the BBQ. I noticed that it was TXing without the mic button or TX button being depressed. Un-plugging the mic stopped this. Thinking it was a condensation issue, I pulled the covers of the radio and mic and dried everything out. The problem resolved? Well, not quite. I sporadically experienced the same fault when operating in similar conditions and earlier this year from Mt. Macedon (2015) it became almost unworkable. I detected the problem being related to the position of the mic cord and planned to investigate once home. It was interesting to chat with Gerard VK2IO – who by chance had experienced the exact same problem. The issue is with what I believe to be a defect with the cord. The insulation of the internal cabling being missing in places and causing a short circuit. 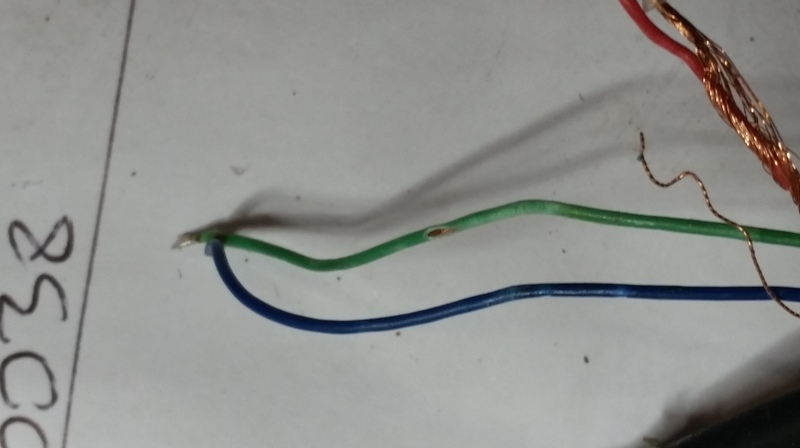 The fix was to shorten the cord and resolder the connections. The insulation was not just on the green wire as shown which was at the end of the double sheathing but also on others further down once the sheathing was removed. With the proof of time, the mic problem is now all fixed. To be truthful, I was not too impressed and surprised not to read of similar problems on the KX3 Yahoo group site! My KX3 went to France and performed flawlessly. I used it with an Alex Loop but also on occasion with two short bits of wire set up as a basic doublet without spreaders or insulators. Worked into Corsica on 30m cw from the Nivernais Canal. The tuner is amazing in what it can do with little apparent losses. The tuner will also memorise previous settings and can be set up to provide instant tuning with frequency changes across all bands. Next stop is October 2014 and the 2 metre module. I was not sure if I really needed it but what the heck! An opportunity came to be part of a group order and thus limit the postage. The module comes as a kit and the instructions need to be followed to the letter. Routing of the cables is very critical. The issue that I had was the location of L40 and L43 on the main RF board. Both these toroidal transformers were way too close to the 2 metre SMA connector and as per instruction, required to be pushed out of the way to clear the connector. I managed to break the core of L40 as it was physically in the way of the SMA connector and required too much force to move. Re-soldering would have been a better option. A replacement was sent out by Elecraft at no charge but was fiddly to fit. Now all installed and the software updated, I tried it out in the back yard and all was good. That was that, no real need to use 2 metres, seeing that I had an FM hand held that was more convenient to use. With a 5 summit activation planned and HF propagation of late being erratic, I thought as a back up I would use 2 metres SSB. Best to check it out at home and make sure I had all the patch leads and the like plus I have a 30 watt amplifier. Upperside of 2 metre module. Shield removed. Hard to see by the photo but, as per instructions, the shield must be fitted in the correct orientation otherwise it will short circuit the PA.
First I noticed the SMA connector was loose. Not a simple fix as the nut on the inside was very loose and to adjust required the removal of the 2 metre and tuner modules. Next, when on air, all seemed OK and then no RF output on the meter. Checked dummy load, antenna, power meter, leads, soft ware. Further invesiigation showed some RF output but at extremely close range only – a metre or so. PA mosfet failed. 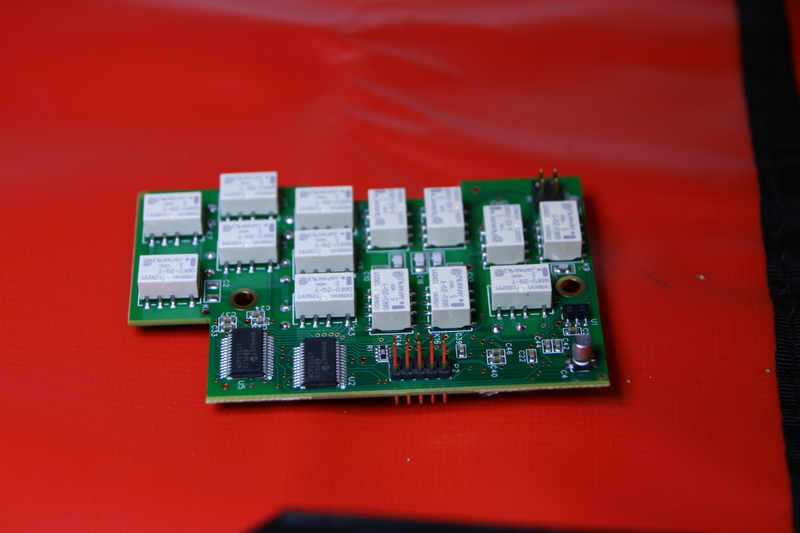 Being still under warranty, a replacement module was sent out from Elecraft and fitted. Problem solved. I have since had a nunber of good 2 meter SSB and CW contacts using a 4 element yagi. Reports on the last activation was that I was 400hz high in frequenct. Must check this out. Could it be a temperature issue as the radio was in full sun and it was warm to hot? In taking the covers and modules out on multiple occasions, I must have overtightened one the grub screws. Maybe the much cooled conditions on Mt. Matlock had something to do with it but on moving the RHS leg to sit the radio up, the screw sheared off. This left the leg and screw remnants dangling within close proximity of internal circuitry. The only method available to rectify this was to prise the opening in the radio open with a large screw driver. I am still one grub screw short but swapped it over with one that does not have a leg attached. I no longer raise the radio via its legs. I have the Side KX panels and cover fitted. I feel these greatly assist in safe transportation and storage of this radio. If there is one concern with the radio, it is with the radios robustness. I feel that more care than such with an FT-817 is required, particularly in damp or dusty conditions. Further microphone issues. Same issue as before with the cord supplied with the microphone being defective in its construction. I think folding the cord to get the microphone into the KX3 lunch box carry case could be compounding the issue. Microphone repaired again and thus far, 6 months latter all is good. This is just as well because the key let me down big time today. 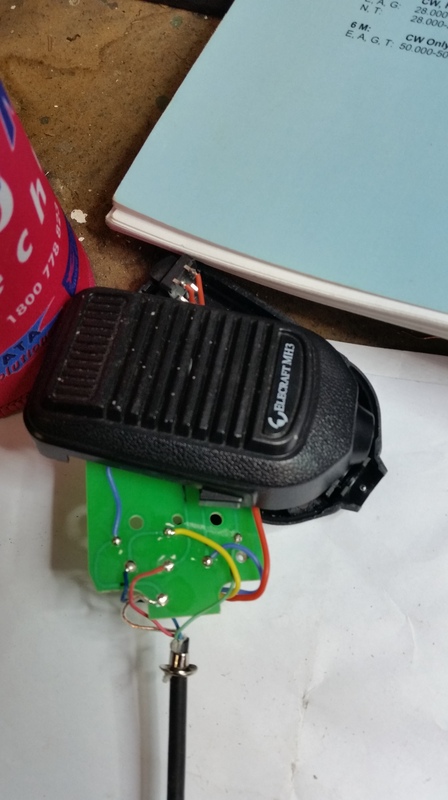 The Elecraft KXPD3 paddle is, in my opinion, also a defective design. The dots and dashes are formed by their respective paddles making contact with fixed terminals mounted on the KXPD3 circuit board. The paddle forms the ground return circuit. The problem is that the paddle is not adequately grounded, relying upon the screw terminals into the radio and, as where I came to grief today, by the pins that the paddle arms pivot on. With a bit of wear due to normal use plus possibly having recently got wet, the ground return on the LHS dot paddle just did not work and the dashes seemed to have a time delay. The solution is to hard wire both paddle arms to ground. I did this using some 15 amp tinned fuse wire, attached via the head of the tension spring screws and soldered to the ground pin of the paddle connector. Far from impressed with this fault that has been experienced by numerous other CW operators. My advice, if you have the KXPD3 is to make the modification before you are let down. I have recently completed my Foundation Licence exam with the Southern Peninsula Club (I have a holiday house at Dromana) and am contemplating buying a QRP transceiver when my paperwork is approved in the next month or so! Researching around, I have become interested in the Elecraft transceiver as an initial transceiver – suitable for both QRP work and general SWL – which I have been involved with for many decades off and on. There is also the possibility of incorporating a custom 100 watt amplifier with the basic KX3 for subsequent full licence work. 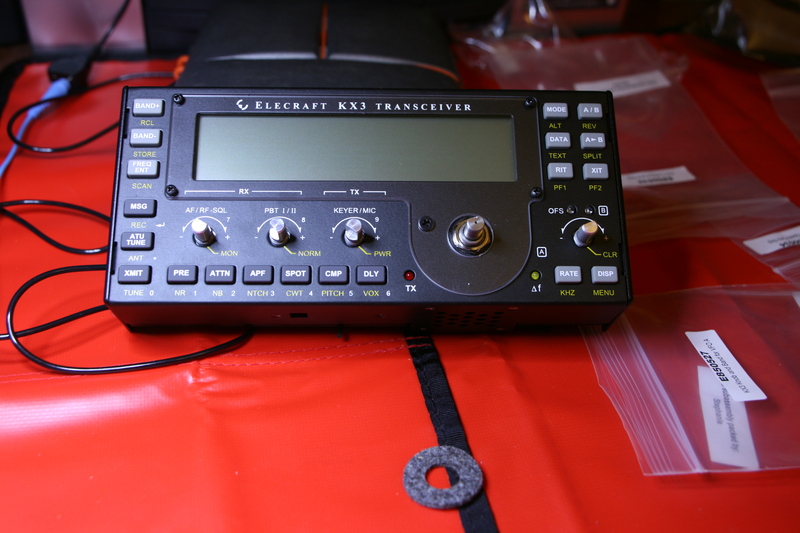 On trawling the net I came across an article on the Elecraft KX3 by you in your club newsletter of Sep 2013 and a brief note in July-August this year. I have subsequently discovered your blog page this morning! I wonder if you could give me long term experience with this model – what I have seen in OS reviews has generally been very favourable, but there is no-one I have met yet at the Southern Peninsula club who has any experience with it. I notice from this blog that there have been some relatively minor issues – but not insurmountable. I would plan to ultimately use the KX3 as a portable and base station operating between my home address and beach home. Could you please advise what on-board additions you would recommend e.g. 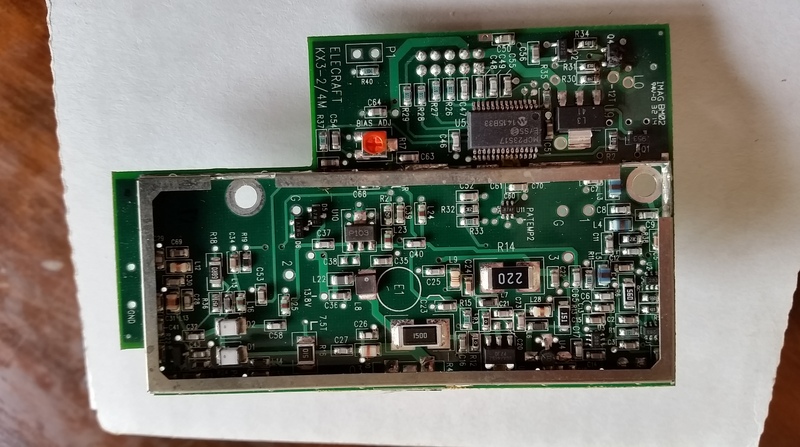 ATU, 2 metrs module board that I should order with it as I will not be able to “modify/construct ” my transmission equipment under the terms of my Foundation licence? I am generally available on mobile most times, and would appreciate an email or direct call. I notice the concern in the newsletter re. the decline in interest in DIY construction and must concur! Hi Andrew, welcome to amateur radio. I am generally very happy with my KX3. The selection of this rather than an FT817 was that I wanted a compact unit I could use without having to have other boxes and leads connected in order to make it work. I also wanted to try a modern SDR design. I was disappointed with the minor issues I have experienced and documented them as I found them. A google search on the KX3 will mainly produce positive experiences but it is naive to think that one brand can be faultless. That said, product backup has been excellent. My KX3 has now got the lot; the 2 metre module was not available at time of purchase.That said, I have hardly used 2 metres but thought … why not! I have previously been quite involved in 2 metres SSB having worked all states. I have a 45 watt amplifier that helps things along a bit. Taking a 2 metre yagi, amplifier, coaxial cables into the field is contrary to my selection criteria. Note that there is now the KX2 option that does HF only.Comes with an internal lithium battery. 1.The tuner is the most essential item. With my doublet antenna, I can operate all bands 80 thru to 6 metres. Never used 160m portable, 80 metres is rare and has only been CW. 2.Real time clock. I find the clock itself is not of great accuracy and not used. The real benefit is to install nimh batteries and charge them inside the radio. This provides a convenient back up power source and also makes it really portable.I would not want to have to open the radio up to replace standard AA cells to often. The real time clock also enables the last used settings to be held in memory. 3.Roofing filters are useful once you get the hang of them. Mainly used on CW. 4. CW paddle is quite good. Has been some contact issues now with regular use. 5. Remember to order a microphone as it does not come with the “standard” package. In conclusion, if the budget allows and as you intend to upgrade, get all the options. The beauty of AR is diversity and something that can do a multitude of things can assist in this. Pretty cool having a PSK31 QSO by sending CW and having the radio encode it into PSK31 and having the decode appear on the “little” screen. BTW, the receiver is brilliant! Thanks for the prompt reply. Yes the receiver is part of its attraction as well as its form feature overall. Great work, most useful and encouraging advice…..I shall start saving . Shall keep in touch. Good to work you today and thanks for the info on your KX3 Blog… I’m on my second KX3, having sold the first and the regretted it!! 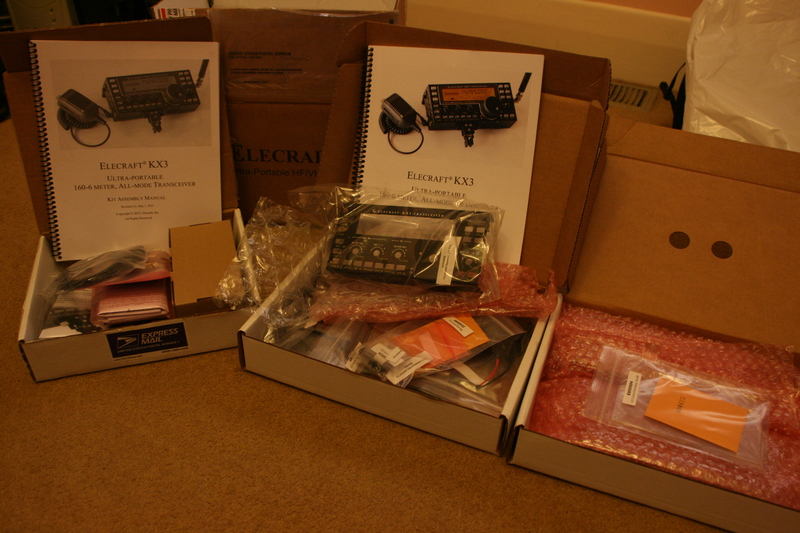 Love the radio, and Elecraft stuff in general (having owned and built several K2’s, a KX1 and a K3 also). I’ve actually just acquired a PX3 from a VK4 for a good price, that I like a lot, but I can’t see me ever taking this into the field, and whilst it is nice to look at, wouldn’t benefit SOTA op’s that much? Stand alone PSK though, with a mini keyboard is something I’m looking forward to trying. No issues with the Mic yet, but I think it is an expensive option, and doesn’t feel too sturdy (then again you could argue that all Elecraft options are expensive!). Anyway, good to stuff and nice to catch up. David, quite happy with the kx3 paddle now it is fixed. Was not happy that it needed to be fixed nor the initial problem with the connection pins inside the radio. Likewise the microphone. Gerard VK2IO had the identical problem. Case of defective manufacturing that should have had a recall. Although I rarely use the internal batteries (Eneloop Pro), I like to have them as a back up, particularly on the multi day activations. Have done stand alone psk using the paddle. Just the one contact. Display on radio a little small for anything other than a sig report. Have used KX3 companion app but find it a bit unstable. May look at an MTR for use on multi day treks, will see how it goes. This is where weight and space in the pack really count. I am myself a KX3 owner and bought it with everything included (minus 2m module as not a big fan). I am only CW operating. Even I have the paddle I have rarely using it because of the slight delay (at least it is what I believe about it). Now you have opened my eyes and going to fix it your way. 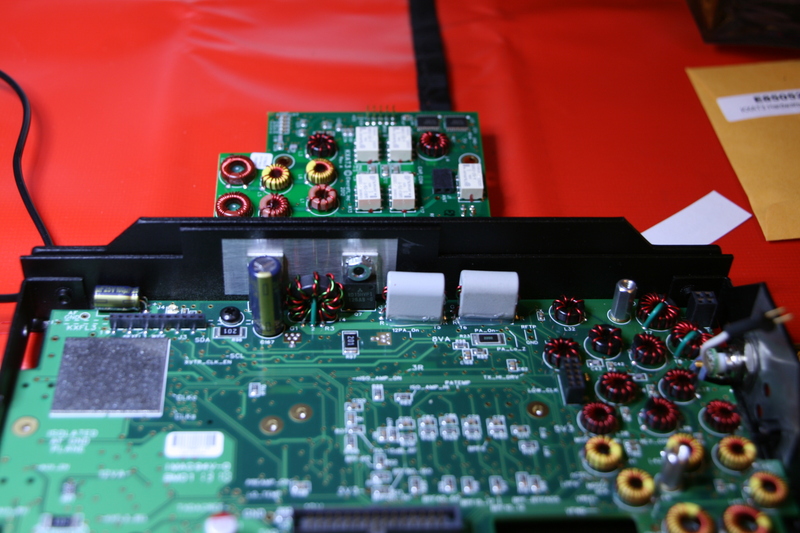 Can you also detail a bit about the use of KX3 with Eneloop Pro NiMH batteries? How far do you go and what is the output power? I am actually struggling to decide weather to buy a set of Eneloop Pro or an external LiFePo4 battery. Hi Val. I rarely use the 2 metre option. Guess it was last used 2 or more years ago. Only installed it so as to have a KX3 with the lot. As for the Eneloop Pro batteries, as I have the real time clock & charger fitted, I always have NiMH batteries installed. Generic ones did not hold their charge for long where as the Pro’s stand by life is excellent. The NiMH batteries are really there as a back up & I rely upon the LiFe battery for my actications. (Zippy 4200mAh – 30 C series, 4 cell 13.2 volt). This battery is probably 4 years old, the original one went “puffy” after 12 months. Finally clocked over 1000 CW activation points. Majority of activations in VK & ZL are on phone but CW is slowly growing. Cheers Tony VK3CAT, Melbourne Australia. Output power with the Pro batteries will only be 5 watts. 15 watts on the LiFE when fresh. Hi Tony. I appreciate that you take your time to answer me. I will certainly then go for both. keep a pack of Eneloop Pro as a backup inside the KX3 and and external LifePo4 (12V 600mAh)pack for main usage. Would be also great if you can detail on your antennas used for activations. As anybody else probably I have my eye on a Buddipole antenna for portable operations but steep price and extras to be paid when imported to Germany are kind of setting me back.